HIT! 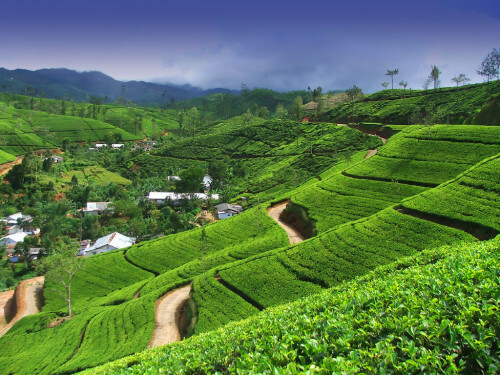 Super cheap flights to Sri Lanka in main season for €337! Qatar Airways, one of the best airlines in the world, launched amazing promotion yesterday which allows you to book cheap flights to Sri Lanka! Multicity tickets Milan – Colombo – Istanbul are available for only €337! You can also fly from Budapest (€20 more) or Vienna (€70 more). There are bunch of options how to get back from Istanbul, either with Wizz Air to Budapest or with Pegasus to Vienna/Munich. UPDATE: you can also fly on route Vienna – Colombo – Munich for only €400 (February – June, e.g. 18.-26.2., 4.-19.3., 3.-23.4., 6.-20.5.). Travel dates are in main season until June 2014 including Christmas period! Flying time is also perfect with maximum of approx 14 hours. To get the best price, choose flights departing at 21:20 from Milan Malpensa. Book directly at Qatar Airways for the best price. « Visit Israel: flights to Tel Aviv for only €72!